Many people’s reaction to Hospice work is that they could never do it. I am thankful that I don’t feel that way. The time I am privileged to spend with dying children, adults, and their loved ones fills me with a reverence for LIFE that I am not sure I could otherwise experience so deeply. You know those moments in your life when something huge and tragic happens and all of your meaningless worries instantly fall away? How attention is automatically diverted to what is most important? This is the consciousness I am attuned to on a daily basis in my work. To me, this is like mastery level education in how to live life well. 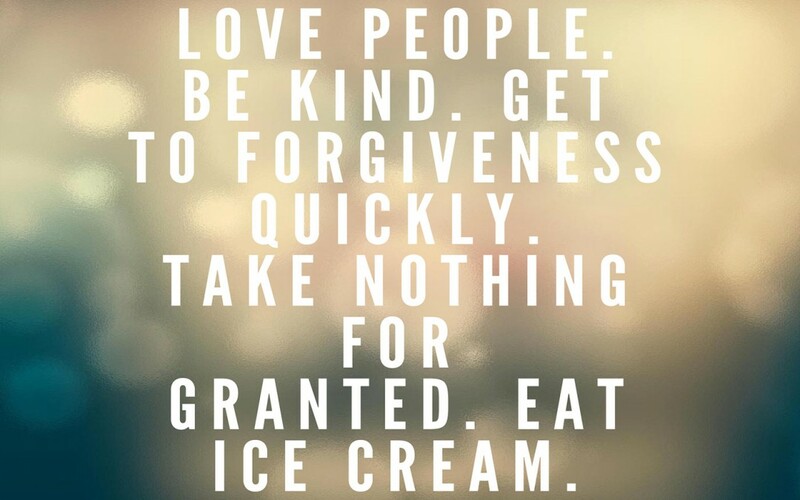 Love people, be kind, get to forgiveness quickly, take nothing for granted, and eat ice cream all day long if that’s what you feel like doing. I am thankful to be spending the day caring for some of my precious teachers today! May we love every blessing in our lives as if they are temporary, with passionate presence and deep gratitude. Today AND AS MANY OTHER DAYS AS WE CAN REMEMBER TO.